Save Property Management at Regal Palms Resort is by far the largest independent property management company on the resort and is run by long standing owners at Regal Palms Resort providing management and rentals services direct from owners on the resort. 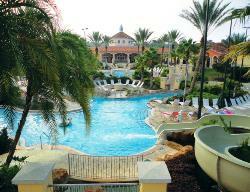 Check out all of our fantastic Regal Palms Townhome Rentals. As owners this means we want the homes in the best possible condition for not just ourselves, but most importantly for you the guests. It means you are guaranteed that the homes will be well looked after and managed and in the best possible condition for your stay. We have encouraged our owners to invest in their properties, so a number of them have premium upgrades to ensure the most comfortable stay possible for yourselves. As owners we take pride in our vacation homes at Regal Palms and owners in our management receive regular praise on well known review websites. All our homes at the resort come with fully equipped kitchens including dish washer, coffee maker etc - the homes have washer/dryers and all linens and towels are provided - the resort also provides pool towels. Many of our homes have been upgraded with HDTV, free wi-fi, new furnishings etc - check out the options on the Vacation Rentals page to narrow down your search. We are also very competitive on price for the standard of service and properties that we provide - you can be guaranteed that your stay at Regal Palms Resort will be great value. Please look at our individual selection of homes through our reservation search pages. Unlike other 'major providers' or 'best price' websites we guarantee* that the home you book on the website will be the home you stay in, no allocation on arrival, no worry that you may not be in a well maintained property or the booking agency can't commit to the property you will stay in. The Regal Palms Resort features 3 and 4 Bed Townhomes, all the homes have master King Bedroom en-suite, full kitchen and living areas, so why not combine the independence of a pool home and the facilities of a hotel on your next visit to Florida by staying at Regal Palms.